First things first: these products were sent to me, for free, to review. However, everything written below is my own words and opinions and I’m not receiving payment for it. 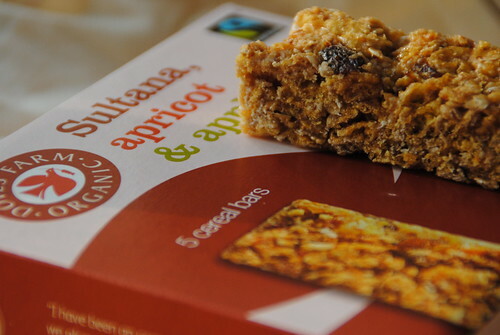 I have just spent a happy breakfast time with a large cup of tea and five Doves Farm Organic cereal and flapjack bars to test. I’d blog for the love of it anyway but moments like this are a rather nice treat. What’s even better is, I can share the joy with you because I am proud to say I have my first competition to run. 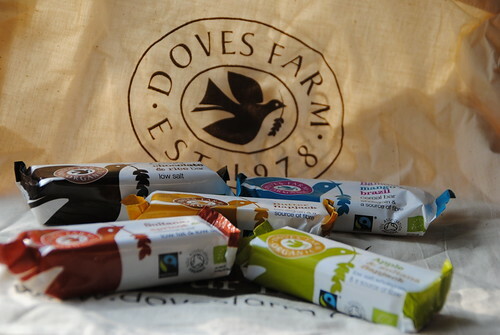 Two of you could win a lovely cotton Doves Farm bag with 2 of each type of Doves Farm Organic cereal and flapjack bars inside. You can find out how to enter at the end of this post. Deeelish! This was easily my favourite of the range. Whilst the pineapple and coconut are not mentioned in the name, you can really taste them. The combination of zingy fruity flavours really cuts through the sugar syrup which holds the oats and rice together. There’s a good percentage of fruit in these bars and I was particularly happy to find some rather chunky pieces of brazil nut. I’ve found in the past that nut content in bars like this can be a bit stingey so it was a definite plus point. Also, given that I don’t usually like pineapple this bar gets extra bonus points. 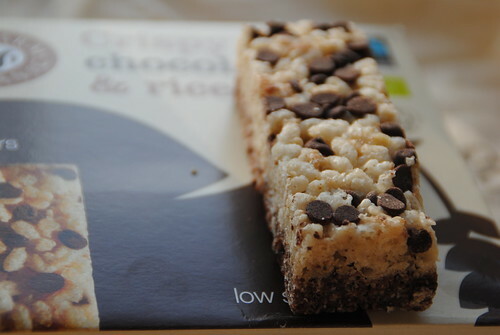 As you can see, the bottom layer was chocolate covered puffed rice, and the top was plain with chocolate chips. I like that there were two layers so that you got a good amount of chocolate, but I have to admit that I was a bit disappointed in the chocolate – it was more sugary than chocolatey. This bar is definitely more for an instant energy boost with a strong cup of coffee in the afternoon rather than a breakfast bar. I reckon they are pretty good value ( 50p each or £1.99 a box ) but I’d pay a bit more for good quality chocolate. A close second for me. 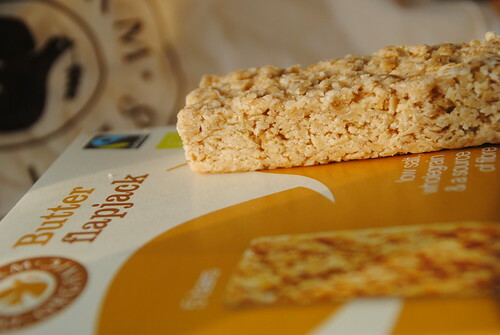 I am a bit of a fickle flapjack fan – some days I want giant oats barely held together by a slick of golden syrup and other days I want dense rolled oats squashed up into a solid brick of sugary buttery goodness. These fit into the latter category and luckily for them, I was having that kind of flapjack day! Lovely and crumbly, these flapjacks are perfect for dunking in a cup of tea. If I had to make one tweak, it would be that again they are rather on the sweet side and there’s still a slight texture of granulated sugar. You may tweet once a day for multiple entries, but only one blog comment will count. If I can’t get a response from you on email or twitter by 22nd March I will pass the prize on to someone else. 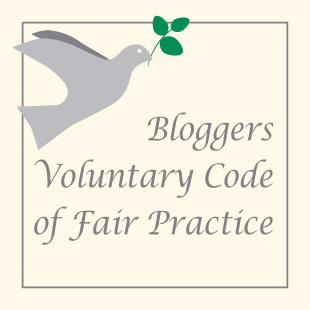 This post is written with the Bloggers Voluntary Code of Fair Practice in mind. If you think anything I have written goes against this, please let me know and I will deal with it immediately. Mmmm love flapjacks. All butter one is my favourite! The sultana, apricot and apple. I love fruity flapjacks. All Butter Flapjacks sounds so yummy! 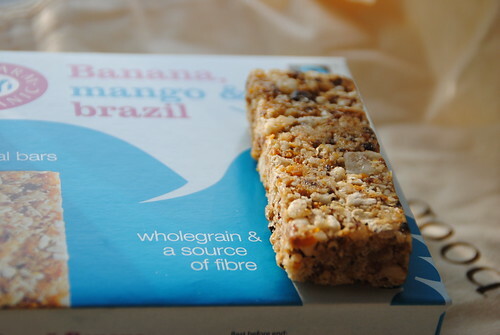 Banana, Mango & Brazil Cereal Bar sounds delicious – because you mentioned it also contained pineapple and coconut which is one of my favourite flavour combinations! Congratulations Lindy – you won! Can you email me your address to talesofpigliongbland [at] gmail [dot] com? 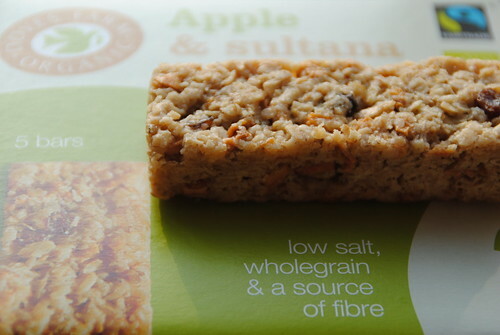 apple and sultana my two favourite things ,united!! Oooh, I’d love to be in with a chance of winning please! I reckon my favourite flavour would be Banana, Mango & Brazil one…yummy! Though I wouldn’t turn my nose up at any ;o) I’ve tweeted about this too! Congratulations Kat – you won the second bag of goodies.